Due to the loss of my last attempt at a Hefeweizen to infection (see Brewday 18) this beer was quickly back on the brewing schedule. Summer is a perfect time to drink a refreshing wheat beer and seeing as the weather seemed to be picking up it was only right to have another go! 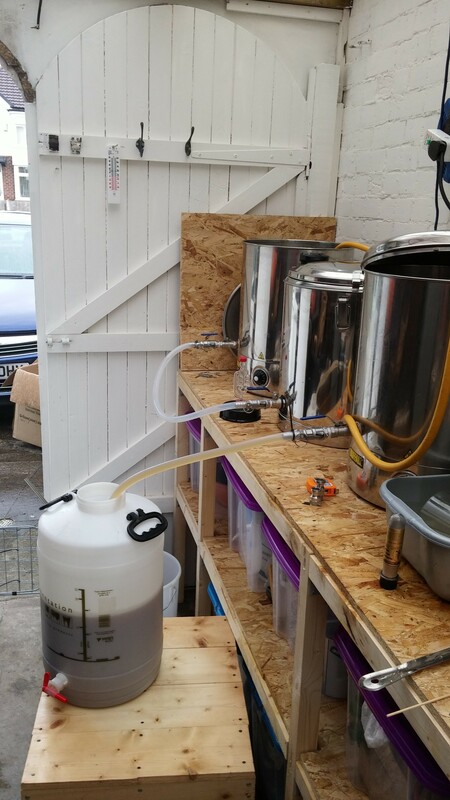 New software (Beersmith 2) and a new brewery setup would require a bit more concentration than previously so there are no orange or corriander additions this time! According to the Beersmith ‘style guide’ this recipe is very slightly over hopped at 16.7 IBU compared to a maximum for style of 15 IBU, but as Galena imparts a nice apple flavour I wasn’t too worried if this was slightly more prominent than it was supposed to be. Boil and cooling complete, and transferring to the fermenter. 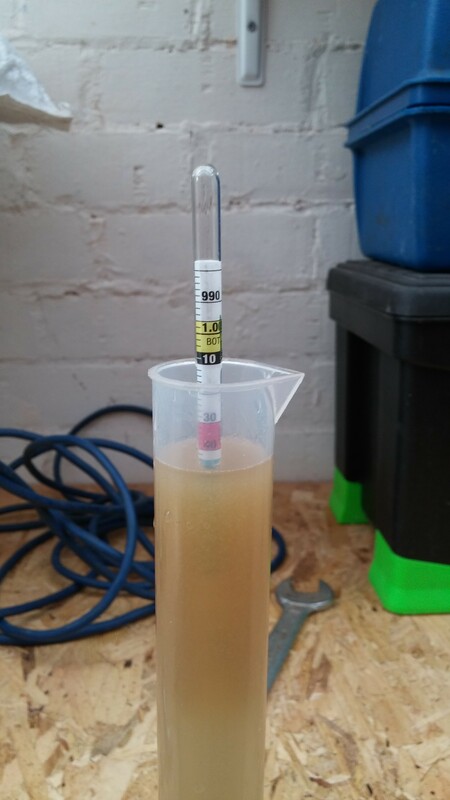 Overall the brewday went to plan and in the end I was only just off on the target OG of 1.050 with 1.048. 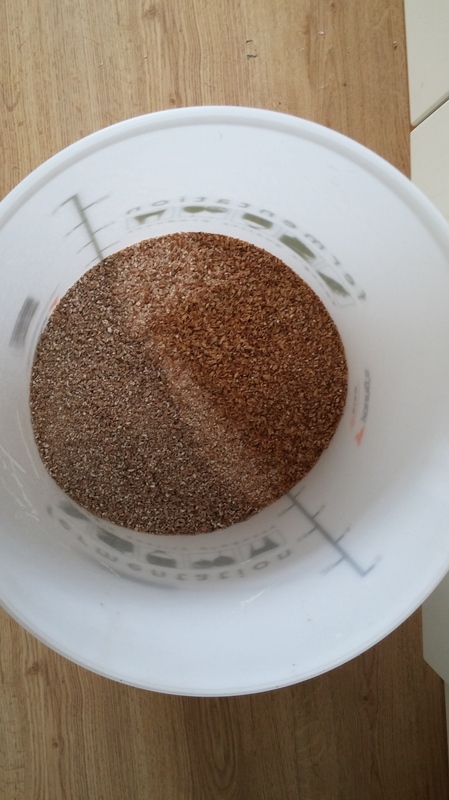 However I did only end up with 21.5l in the fermenter instead of 23l meaning an overall efficiency of just 67.5%. 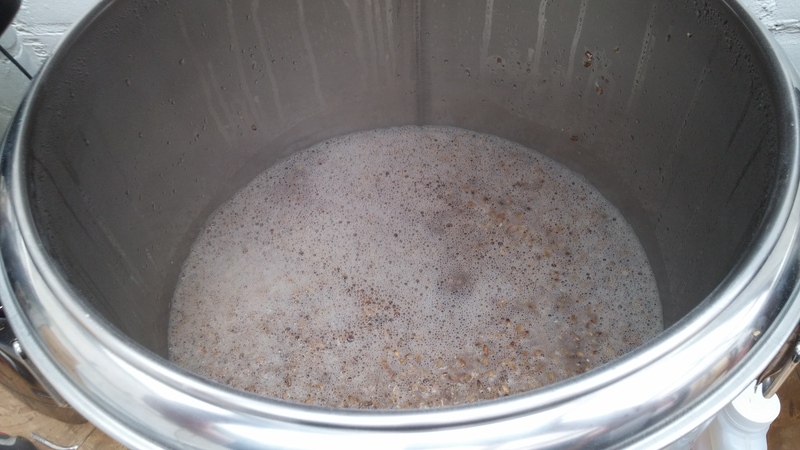 I put this down in part to having a very vigorous boil today which would have translated to a higher evaporation rate than normal, and also that I may not have complete accuracy in the liquid losses etc for my new setup input into Beersmith yet. More tinkering on this would be required before the next brew but in the meantime though I would be supping on a lovely 4.7% ABV Hefeweizen in the sun! Cheers!